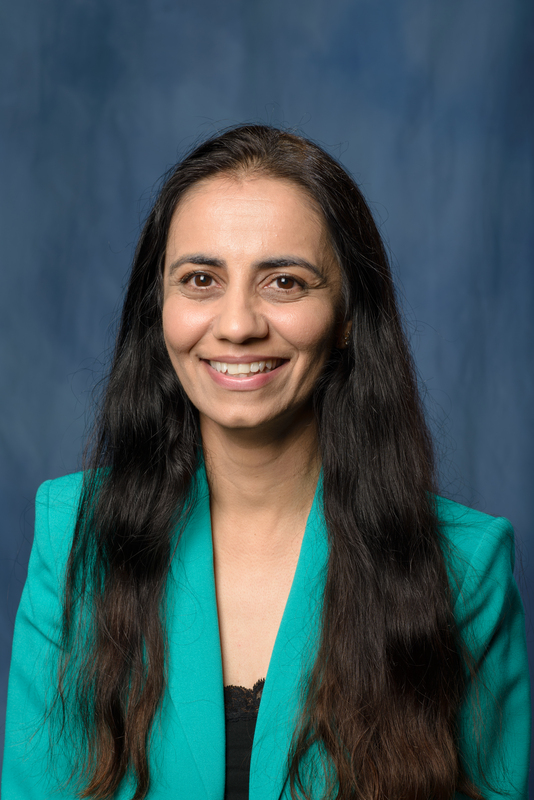 Sonal S. Tuli, M.D., M.Ed., has been appointed chairman of the department of ophthalmology at the University of Florida College of Medicine. Tuli will oversee a department that comprises 14 clinical faculty, 14 research faculty, 15 residents, six graduate students, three postdoctoral researchers and a support and administrative staff of approximately 100. Each year, the department of ophthalmology sees approximately 32,000 patients at three UF Health locations in Gainesville: Medical Plaza, Hampton Oaks and Magnolia Parke. These sites offer clinical services for routine care as well as every subspecialty in ophthalmology, including refractive surgery (iLASIK) services, pediatric ophthalmology, neuro-ophthalmology and others. The department’s research areas range from the development of gene therapy for retinal and macular diseases to wound healing and the treatment of herpetic eye infections. This research, in addition to clinical research, is funded by competitive grants from the National Institutes of Health and other organizations — including the nonprofit group Research to Prevent Blindness, which has supported the department with grants totaling more than $4.4 million over the past five decades. The department’s Center for Vision Research provides support to nine departments and six colleges active in vision research with a core group of researchers from across campus. Its residency training program has one of the highest surgical numbers and volume of clinical pathology in the country, resulting in American Board of Ophthalmology pass rates at over 95 percent for residents. As chairman, Tuli hopes to advance these achievements even further, she said. Tuli received her medical degree from Grant Medical College in Mumbai, India, in 1992 and completed her residency in ophthalmology at Indiana University in 2000. She completed her fellowship in cornea and external diseases at the Bascom Palmer Eye Institute in Miami and joined the UF department of ophthalmology in 2001. Tuli was appointed director of its division of cornea and external disease in 2003 and has also served as the director of the ophthalmology residency program since 2007. In 2012, Tuli completed a master's degree in education at UF and was promoted to professor with tenure two years later. She was appointed interim chairman of the department in October 2013, after William T. Driebe Jr., M.D., stepped down after almost 10 years of service. A board-certified ophthalmologist, Tuli’s research interests include cataracts, corneal transplants, ocular surface cancers, dry eye disease and infectious eye diseases. She provides adult and family-based ophthalmic care. Tuli has lectured extensively at international, national, regional and local conferences as well as at UF. She has over 50 publications in peer-reviewed journals and is actively involved in clinical and NIH-funded laboratory research as a principal investigator or co-investigator. Tuli is on the editorial board of peer-reviewed publications and a reviewer for a number of scholarly journals. She holds three patents. She serves on the board of the Florida Society of Ophthalmology and on several committees for the American Academy of Ophthalmology, including as chair of the Online Education Committee, vice chair of the Practicing Ophthalmologists Curriculum Panel and educational representative to the Continuing Medical Education task force. She has served as an oral examiner for the American Board of Ophthalmology since 2007.